A former aide for D.C. Mayor Vincent Gray's 2010 campaign pleaded guilty Tuesday to lying to federal investigators. Vernon Hawkins, a veteran campaign field worker in the 2010 off-the-books Gray campaign and in other campaigns, was charged with one count of making a false statement. During the plea hearing Tuesday, Gray's name was mentioned for the first time as the beneficiary of the "shadow campaign." According to a criminal information document filed in court Monday, a local caterer, who served as the transportation coordinator for a portion of Gray's campaign called "Get Out the Vote," was paid $8,000 by Hawkins to get out of town so they could not speak with federal investigators about the shadow campaign. A key figure in the 2010 "shadow campaign" to elect Vincent Gray as D.C.'s mayor pleaded guilty Tuesday to lying to federal investigators. When questioned about the incident last year, Hawkins told federal agents he had no knowledge of that person being intentionally sent away. But, according to the U.S. attorney's information, Hawkins gave the unidentified individual money in December 2011 to leave the area for an extended amount of time. Hawkins allegedly received that money from Eugenia Harris, another campaign aide. When asked in court Tuesday about paying someone to leave town, Hawkins told the judge, "I did make that mistake." 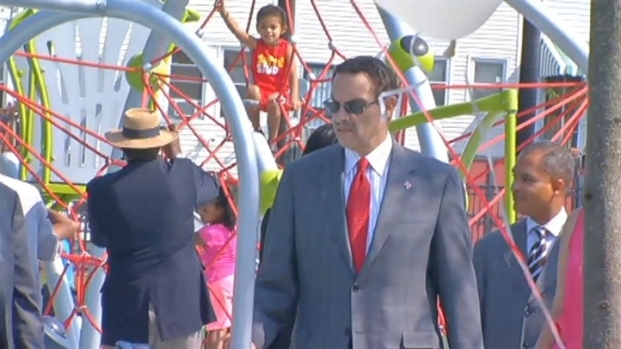 News4's Tom Sherwood reports on the expected guilty plea from a key figure in D.C. Mayor Vincent Gray's 2010 "shadow campaign." "While I acknowledge my mistake, I also know that the people who know me best – my family, my friends, and my church family -- understand that this does not define me," read a statement from Hawkins. "This was a serious lapse, but it is an isolated one." The court papers suggest that in pleading guilty to only one count, Hawkins has agreed to cooperate with prosecutors in their probe of Mayor Gray's campaign. 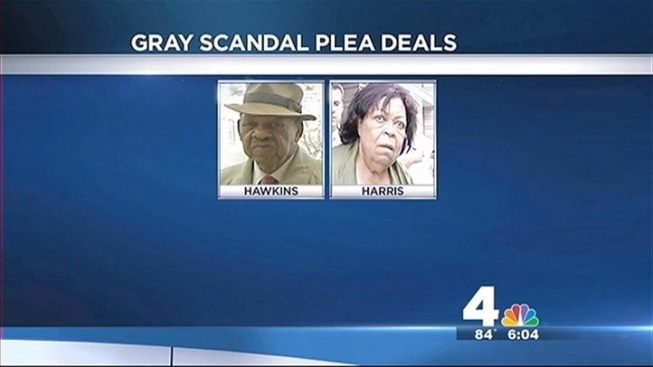 Hawkins, 74, is the fourth person to plead guilty in the Gray shadow campaign corruption matter. "This guilty plea takes us one step closer to understanding the extent of the deception that tainted the 2010 campaign,” U.S. Attorney Ronald Machen said. This week Ward 4 Council member Muriel Bowser, who is running for mayor and has called on Gray to resign because of the scandal, said citizens want to know what happened - and soon. Gray has never explained his role in his own campaign and, on the advice of his lawyer, has declined comment on any aspect of the investigation. Last year, Harris pleaded guilty to directing $653,000 in unreported funds from a D.C. businessman to the campaign. Campaign workers Thomas Gore and Howard Brooks agreed to plea deals involving their handling of campaign funds. The federal case now centers on key money man Jeffrey Thompson, who allegedly funded the shadow campaign for Gray.